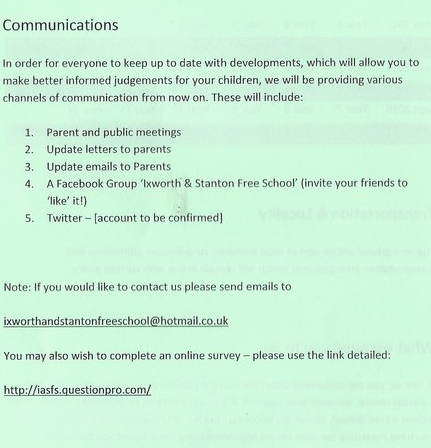 The Ixworth and Stanton Free school parent group appear to have decided to operate in secret, refusing to identify themselves and not allowing the public access to their parents meeting. 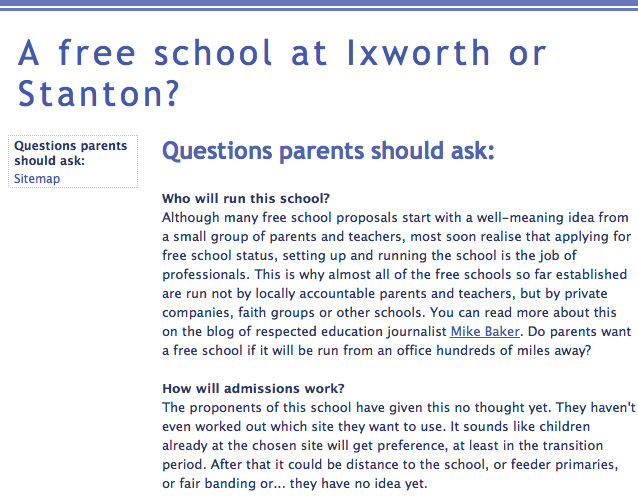 I have now gathered some evidence and will be blogging tonight about why I think they are doing this. 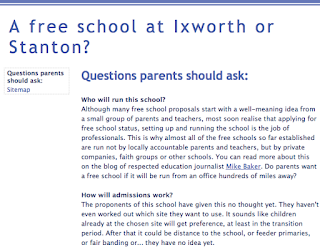 Meanwhile one of the drawbacks of operating in this way has emerged with a website set up at http://www.ixworthandstantonfreeschool.org/ questioning the need for the free school and suggesting questions parents might ask about the proposal....I want to make it clear I am not behind this website and had no part in creating it. In the leaflet handed to parents at the two meetings this week the group published their "communications" plan with no website, an anonymous hotmail address and gaps for Twitter accounts.